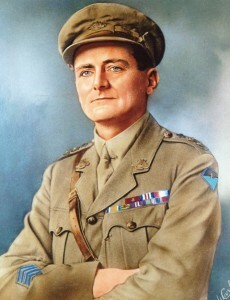 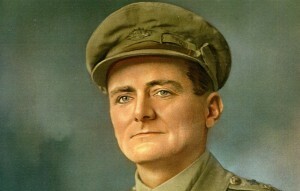 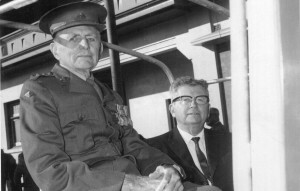 Albert Borella VC MM is one of only 100 Australians, and the only Northern Territorian, to have received the Victoria Cross, the highest military honour in the British Empire, for “most conspicuous bravery in attack". 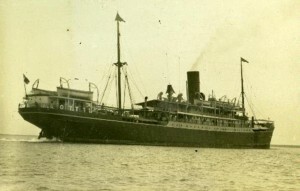 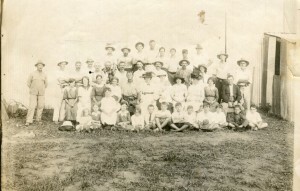 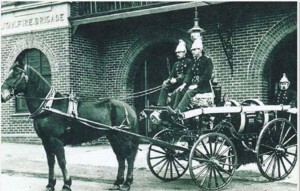 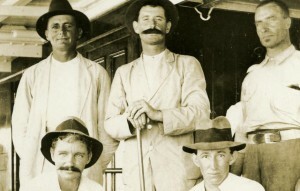 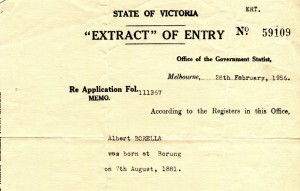 Born in Victoria in 1881, Borella was lured to the Northern Territory with offers of pastoral land and prosperity in the Daly River district in 1913. 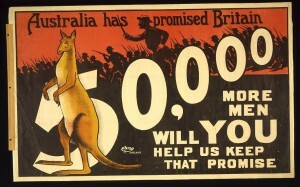 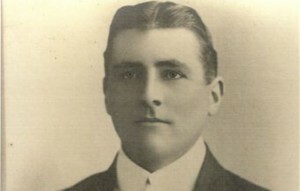 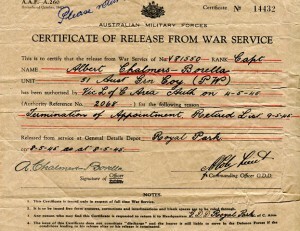 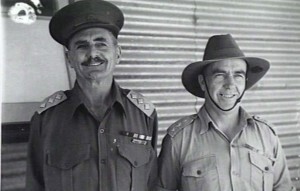 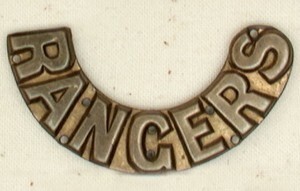 After the outbreak of war, he travelled from Tennant Creek to Darwin to enlist. 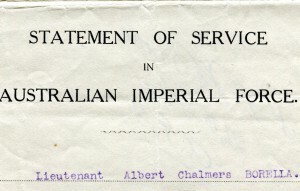 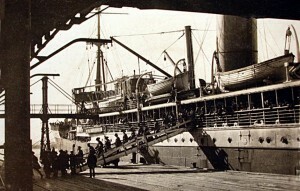 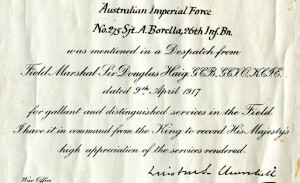 When he found out that he couldn’t join up in Darwin, he boarded a ship to Townsville in Queensland where he enlisted and was posted to the 26th Battalion of the First Australian Imperial Force. 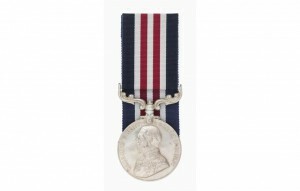 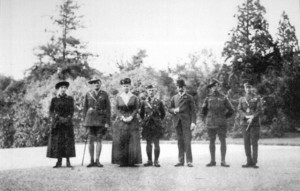 He fought at both Gallipoli and the Western Front, was wounded, commissioned on the battlefield and awarded the Victoria Cross in 1918 by King George V.
Upon returning to Australia, Borella moved to Victoria where he married and began a family. 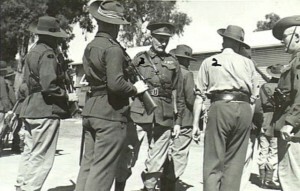 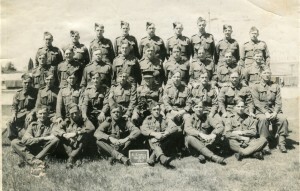 At the outbreak of World War II, he took up the Colours again and served in Australia, being promoted to Captain in 1942. 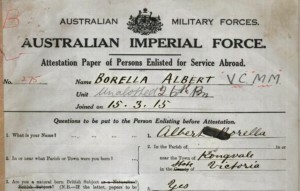 Albert Borella VC died on 7 February 1968 and was buried with full military honours at the Albury Presbyterian cemetery in New South Wales. 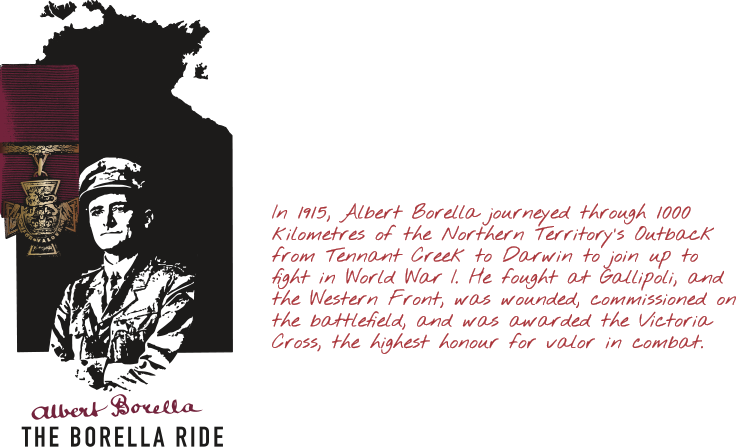 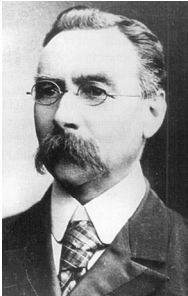 To find out more about Albert Borella’s life and achievements, click on the Timeline below.